After a short hiatus from development, Overhaul Games has finally confirmed that the Baldur's Gate II: Enhanced Edition will be released on Nov. 22 for $24.95, and it's available for pre-order right now. It's hard to tell exactly how Overhaul can possibly enhance Baldur's Gate II. BioWare's early turn-of-the-millennium masterpiece has been a fan-favorite thanks to its extensive cast and unparalleled amount of content, leaving those who have played it to wonder "What could they possibly add?" The package comes packed with both the main game, Shadow's of Amn, and its expansion pack, Throne of Bhaal. With the original content also comes four new playable characters, unique scenarios for three of them, 30 extra locations, widescreen support and revamped artwork. The game stops short of full on HD visuals, which feels a little lacking in this day and age. With the Baldur's Gate and Baldur's Gate II remakes wrapped up, Overhaul would like to make Baldur's Gate III with permission from Wizards of the Coast, as it has stated in the past. These two games will have to sell a lot to make that happen, though. Should that be just a fantasy, which other similar games would you like to see Overhaul bring up to speed? Icewind Dale, Fallout, Arcanum? Or should the team take all this experience in remaking BioWare games and actually get to work on making its own original ideas? 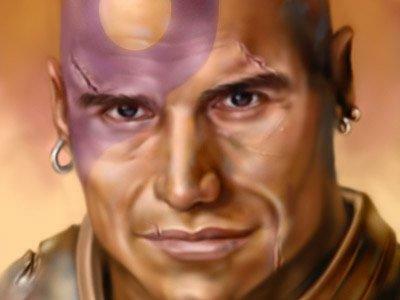 Baldur's Gate II: Enhanced Edition will be released for PC, Mac, iOS and Android. You can check it out and pre-order it at the game's official website or on Steam.